ADDRESS: 939 South Figueroa St. 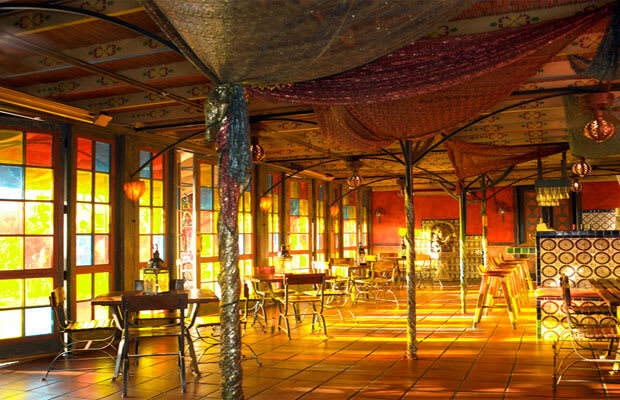 Finally, a bar that skipped the all-red-everything trend and went for a tasteful Moroccan theme that might actually have you feeling like you’re in Morocco. Aside from indoor palm trees and views of the beach nearby, the stained glass, high ceilings, hanging lanterns, and tiled floors leading to the outdoor pool may convince you to check in to the hotel and stay for a few days. Put on a pair of shades and head here for day drinking, or arrive around happy hour and try the spicy Misdemeanor with Patron, pineapple juice, jalapeños, and lime.